Please forgive the crappy phone photos. Apparently tutorial-making is not my strong suit! 3. 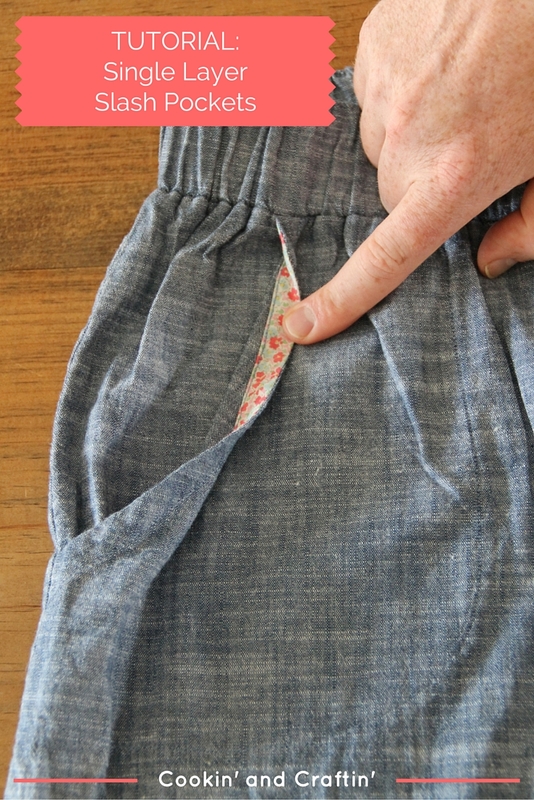 Finish the pocket edge of your front pant legs. I used single-fold bias tape to finish mine (sew the tape to the pocket edge, right side to right side, then flip it inside and topstitch... more info on bias tape facings here at Grainline Studios), but you could used double-fold bias tape as a binding (like on the Prefontaine shorts), or maybe even double turn the edge to the inside, if it's straight enough that you can get away with it. I just did this on a flannel skirt I made recently and it worked great! I know I wouldn't have thought to do it if I hadn't seen you do it a few times recently. I noticed!! I really like this method- I feel like I don't need any extra fabric in the hip region and this really helps for a smoother pocket! Thanks, Rebecca! Glad it's helpful despite my terrible nighttime photos! Oooohhhhh, now I get it! This makes perfect sense and I totally get why you do it. I have a pair of hudsons made from Ponte, and this method would have worked out so much better on them. They are so bulky! Thanks so much for sharing! Yay, glad it makes sense! Yeah, it just smooths things out in the hip area. It's not the most elegant because of the visible topstitching in the shape of a pocket, but better than a lumpy, bunchy pocket, IMHO. I will definitely be doing this on all future Hudson pants! Thanks Meg! Glad it was helpful, Noelle! Thanks Meg!! This is awesome. I've done this since I made pajama pants from an old pair of RTW. I think this is standard in RTW. It really cuts down on bulk and usage of fabric. Especially in knit fabrics. It really does cut down on bulk! I've only tried it with knit fabrics once, for my husband's Juba shorts, but I think it would help a lot for knit pants and skirts! I like your demo....because I wear Lois Hinson Oxford pant pattern, don't like an inseam pocket (way bulky) so this would do the trick....thanks! 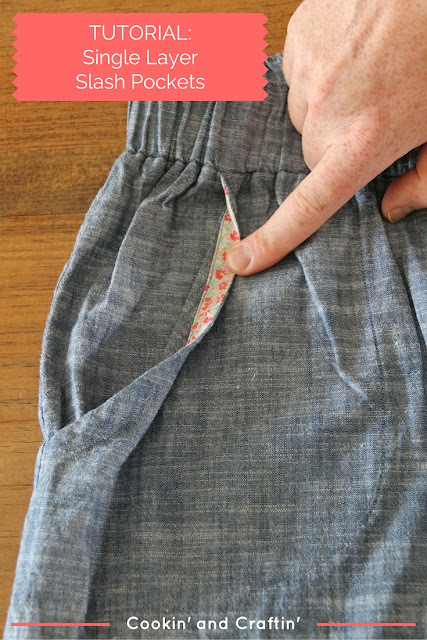 This looks like the perfect pocket for pajama pants too. Thank you!